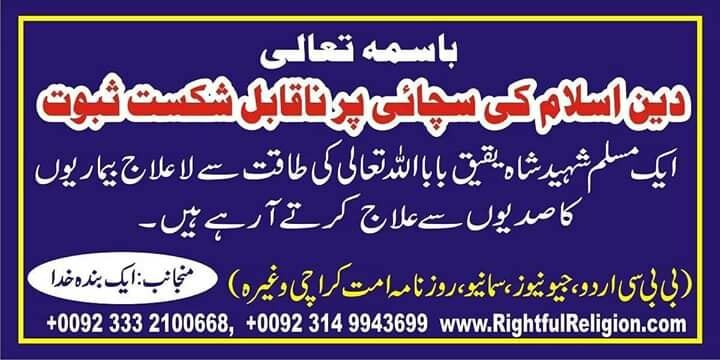 Non-Muslims and Muslims having incurable diseases (from all over the Pakistan even from outside the country) come here for treatment. The treatment is followed by annunciations. Following the annunciations is considered as important and necessary. 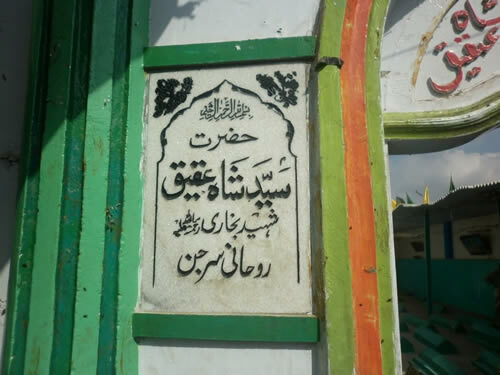 If there are devils who have been doing treatment of incurable diseases on the shrine of Shah Yaqeeq Baba then why such devils are not on other shrines? Suppose if there are devils as you say, it has been told by prophet Muhammad (peace be upon him) that devils run away by reciting of Ayat-al-Kursi. Why don't you Muslim scholars gather on the shrine and recite your Ayat-al-Kuri thousands of times to make devils run from that place, if you are truthful? You will not or even if you try to do so, you will 100% fail in your attempt. It is our challenge because this is being performed by the dead Muslim Shah Yaqeeq Baba by the permission of Almighty Allah. How do you define fake? Do you think all media channels, newspapers and even BBC reporters are fool? Do you even know the value of eyewitness in any court of the world? If you believe that this is fake, why don't you challenge this news in any court of the world to disprove it? BBC News has reported about it. Why don't you believe in it? Now the only question is why it is not wide spreaded in Non-Muslims? It is because Non-Muslims media will not reveal this truth of Islam. Mainstream media is busy in propaganda against Islam. Further, majority of Muslims are not talking about Shah Yaqeeq Baba for the preaching purpose. They are too busy in preaching Islam to Non-Muslims using stories and scriptures. Therefore, Shah Yaqeeq Baba is not wide spreaded in English language. Muslims need to understand the importance of this "sign from Allah". Many truthseekers (Non-Muslims) are looking for a sign in a religion to believe its truth. Islam has this sign but Muslims' mind is captured by devils so they don't understand importance of this sign. You accept any kind of news from media and newspapers if they are in your favor but why do you deny authentic news if they are against your own beliefs? If there is no soul then who has been performing this treatment and surgeries? 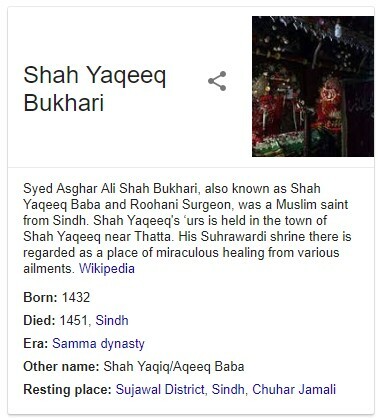 How has Shah Yaqeeq been performing treatment of incurable diseases? If Allah is not a real God according to Non-Muslims, who gave spiritual power to dead Muslim Shah Yaqeeq Baba? Is there any dead non-Muslim in the world who has been doing treatment of incurable diseases and is featured and reported in the media channels and news reports like the dead Muslim "Shah Yaqeeq Baba"? Why don't non-Muslims have any spiritual power after-death?